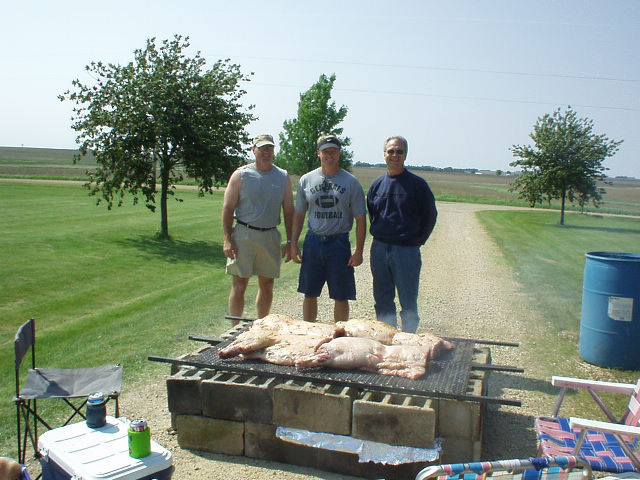 Web page on how to roast a hog! The following is a diagram of how to design a hog roast pit! After one builds the pit they would place the following grate on top! Clear some room on the ground about a 6 ft. by 6 ft. area. Lay down some heavy duty aluminum foil. 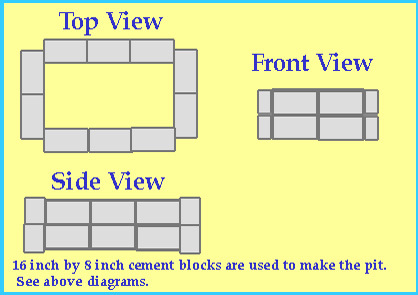 Place the blocks around the foil like the above diagram shows. Place one bag of charcoil in the pit (leave in bag) soak with lighter fluid and light. After about 20 minutes the coils should be hot, then move the coils away from the center of the pit toward the edge of the blocks. Place the pig on the grate rib side down. 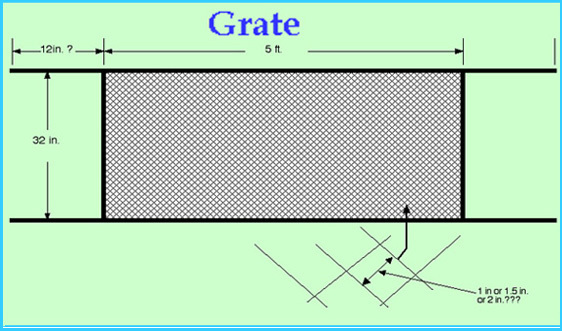 Place the grate over the pit. Salt the top of the pig don't be stingy. Sit down with a cooler full of beverages and a spray bottle prepare to fight fire. Don't let the coils flame up. Add coils when ever needed don't over do it. After 3 to 4 hours lift the pig's legs check if ribs are loose. When the ribs are loose flip the Hog! Pour barbecue sauce over the pig and sample the meat. This is the best time of the day! Cover the top of the Hog with aluminum foil and let cook for 3 more hours. Take the hog off the pit and cut up and enjoy the feast! Below is a picture of the gang cutting and eating the pig!